The DF516 works great with heavy or light dumbbells. The DF516 stores dumbbells easily and conveniently. 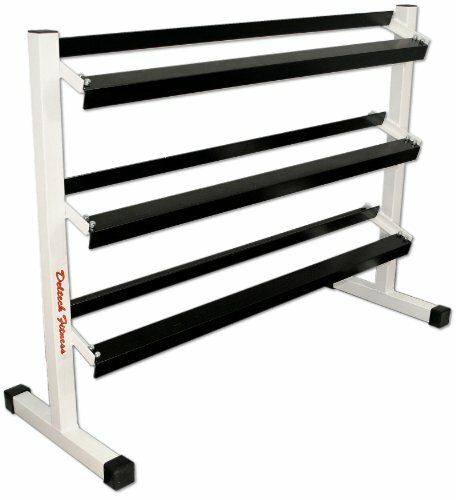 Deltech Fitness offers many styles of quality Dumbbell Racks. Weight storage is a key issue when dealing with dumbbells. A quality Dumbbell Rack will not only organize your work space, but also help you to perform your exercise program more efficiently and safely. By providing easy access to the weight you reduce your risk of injury by removing the weight off the rack instead of the floor.